Photo: Steve Holland..Australia v England. 3 mobile Test Series, The Ashes 2006/07, 4th Test. 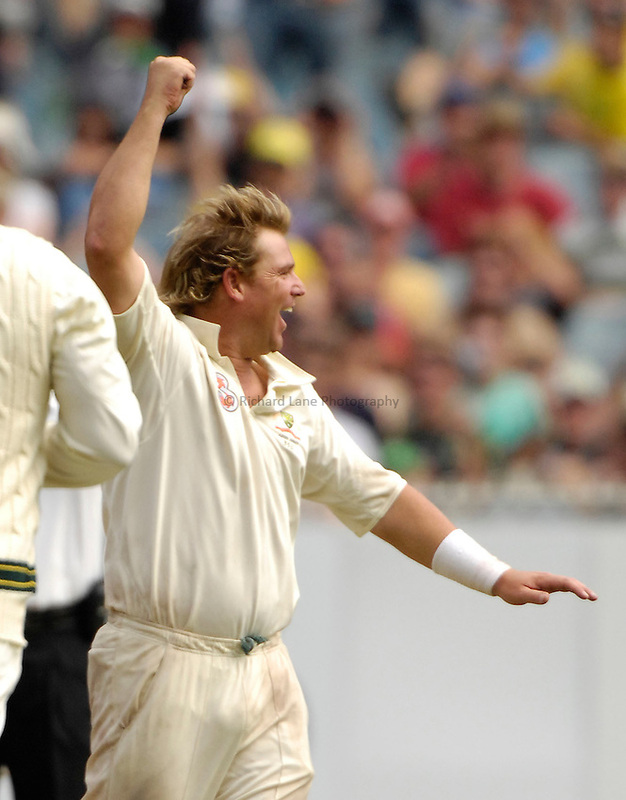 28/12/2006..Australia's Shane Warne celebrates a wicket.